These athletes are hard-working, dedicated and strong. "Prescott Lightning/Thunder" has entered their competitive season and this year promises to be one of the best the team has seen. “Gymnastics is a tough sport. These athletes are tough as nails,” said Coach Jon Sebastian. The team is 60 members strong and there are 20 members of the pre-team. Over the past several years, Coach Jon has created a flourishing team that excels at all of the competitive gymnastics levels. “It takes time to build a team, but we are on a roll,” he said. The competitive season began in mid-September and Jon thinks the girls are ready to demonstrate their improvements in the upcoming meets. This is the first year that there is an “optional” team, which includes girls who compete at a higher level. 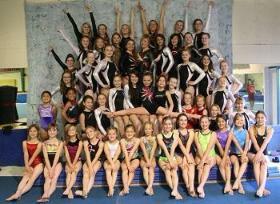 Advanced competitors, these gymnasts have moved beyond the compulsory level and are able to design their own routines. A focus of the team this year is to establish high levels of quality while at the same time, keeping the injuries down. 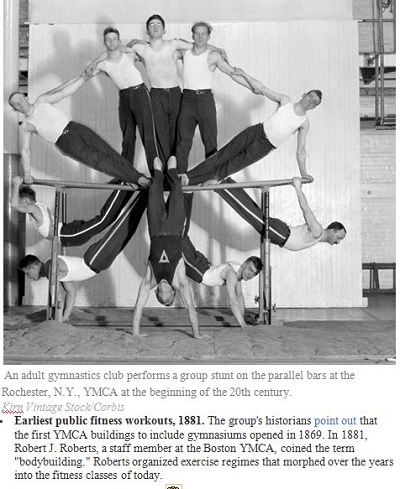 Strong gymnasts have fewer injuries. “One of the things I like about working for the YMCA is that our standards are high, but we accept all body types and allow the girls to reach as high as they choose. I love to see that motivation,” he added.